Old post of Shaheer Sheikh on Mahabharat’s Arjuna is worth a read! 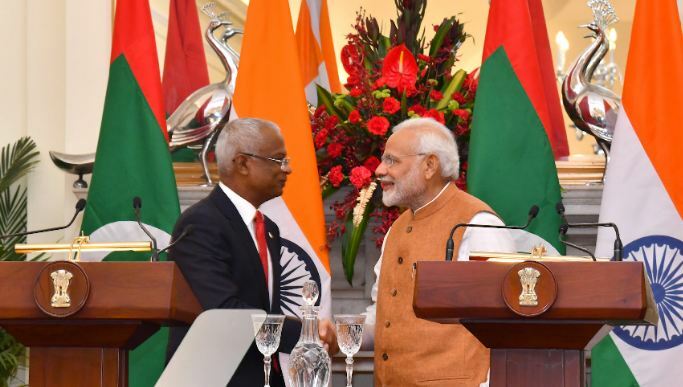 Prime Minister Narendra Modi called Ibrahim Mohamed Solih, President of the Republic of Maldives today, and complimented him on the victory of the Maldivian Democratic Party (MDP) in the recent Parliamentary elections. Prime Minister Modi noted that this significant victory of MDP signifies a resounding endorsement of the policies and efforts of its leaders, who have worked with deep commitment for the people of Maldives. He welcomed the successful completion of the elections, which marked the consolidation of democracy and strengthening of democratic institutions in the Maldives. The Prime Minister reiterated India’s deep commitment, in keeping with its ‘Neighbourhood First’ policy, to work closely with the Maldives in further deepening our partnership and assist the Maldives as per the latter’s requirement in its socio-economic development. Indian Prime Minister also spoke to former President Mohamed Nasheed and congratulated him on the momentous electoral victory. The Prime Minister lauded the participation of all democracy-loving forces in deepening the roots of democracy in the Maldives and offered India’s continued assistance for this objective. Did you know these facts about the fierce Battle of Kangla Tongbi?